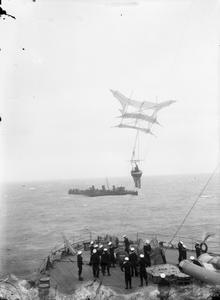 S F Cody demonstrates one of his kite designs to the Royal Navy. 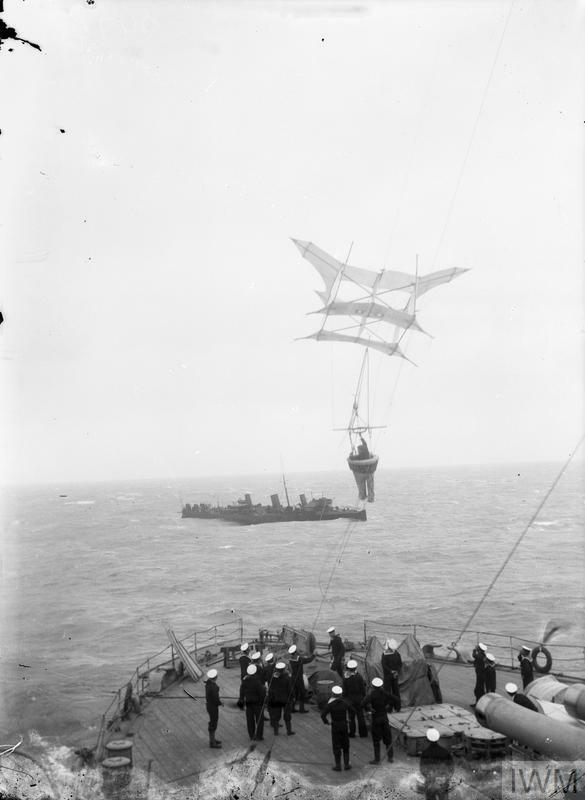 He is suspended in a breeches buoy attached to a carrier kite 20 - 30 feet up from the deck of the battleship HMS REVENGE. In the middle distance is a destroyer, possibly HMS RECRUIT. 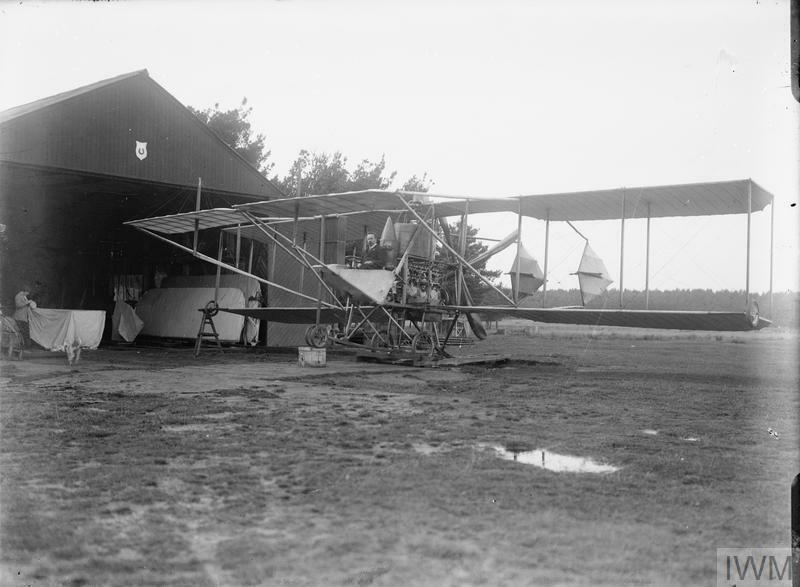 The kite was designed to be used when high wind speeds (over 20 miles an hour) prevented the use of observation balloons. 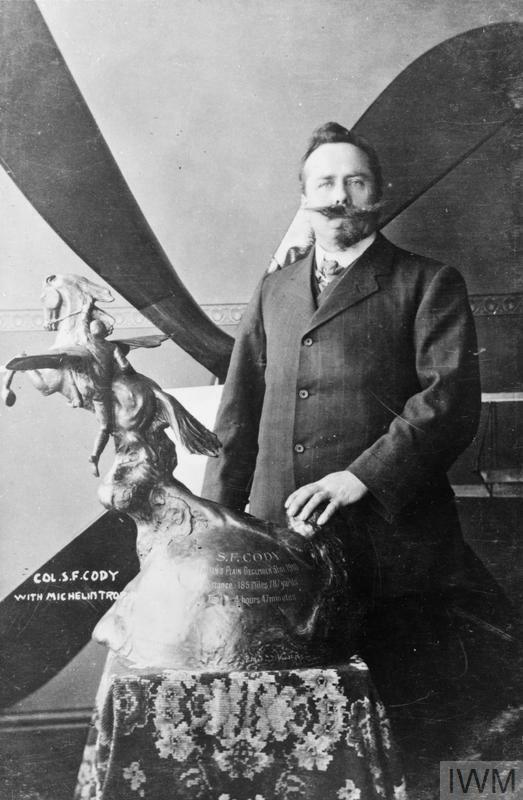 Cody was the first man to be lifted from the deck of a warship in a kite. He was almost killed during one of these demonstration flights. 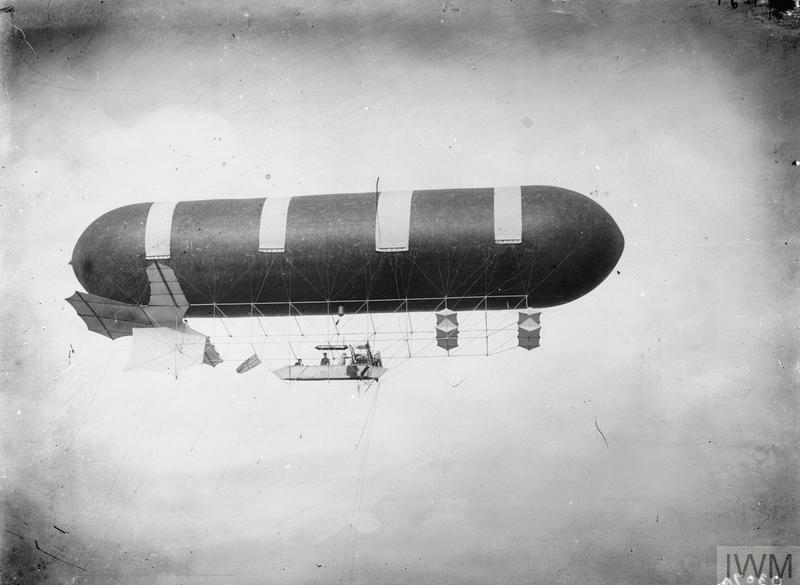 With Cody suspended from a kite at a height of 800 feet above the ship, the captain turned the vessel 180 degrees so that it was sailing down wind. The kite immediately began to fall towards the sea. A quick thinking crew member severed the cable attaching the kite to the ship, slowing the rate of fall to a speed which enabled Cody to jump clear a few feet from the surface so that he could be rescued.